This is a full professional use narrow access machine. 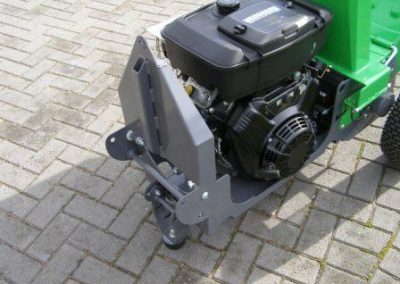 It has a capacity rating of between 80mm and 120mm. 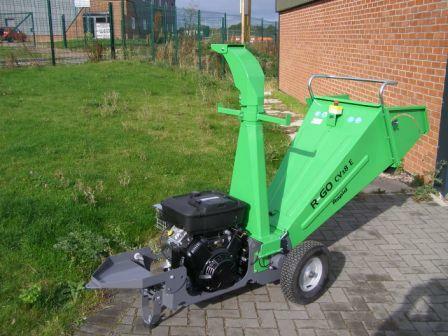 This 310mm drum type chipper has 2 full width knives and 1 counter knife. 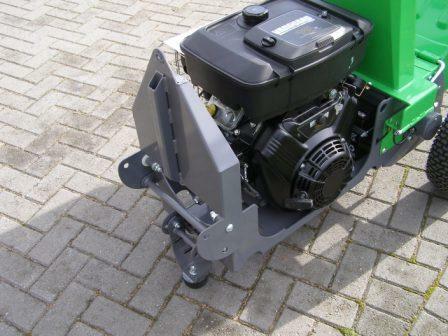 Power comes from either 14 or 18hp V twin Vanguard petrol engine, the latter having key start option. 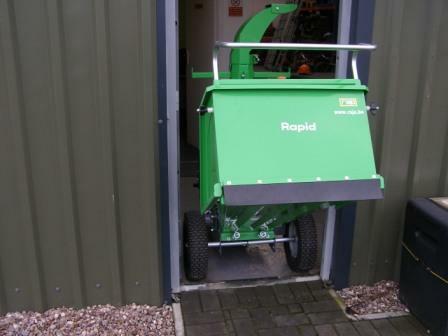 Both the wide intake hopper and delivery chute fold for complete access to the cylinder for adjustment and maintenance. Any blockage is easily cleared by external facility to reverse the drum. Output depending on material is 5-7cu/m/hr. 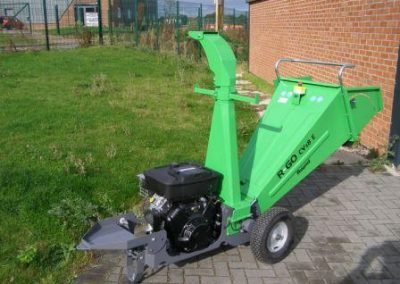 Weight is just 195kgs and width is 720mm allowing this chipper to go through a standard doorway and balanced for one person to push it. 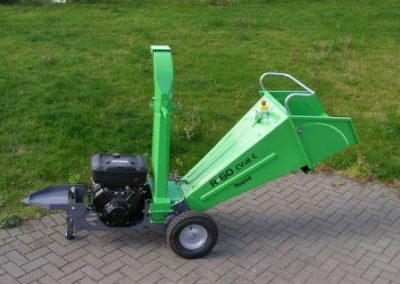 Options are dual wheels and a 3 point linkage kit for tractor mounting.